The following page outlines the Borough's Local Plan and provides links to the various relevant documents. The National Planning Policy Framework states that Local Authorities should have up to date and positive Local Plans. The Council are currently preparing a Local Plan Review document. Current up to date policy however can be found in the adopted Core Strategy and Town Centres Area Action Plan. The Council's Local Plan conformity (document) with the National Planning Policy Framework can be viewed directly below. Instead of having a number of seperate policy documents, the Council has decided to undertake a Local Plan Review. The review will cover numerous policy areas, for example site allocations and development management policy, and will combine them into a single document that will form part of the Local Plan. The following provides a link to the Council's Saved Local Plan web page. The Council has an up to date list of planning policy documents that are currently being prepared, as well as the latest Local Development Scheme which sets out the timetable for the production of the Local Plan. The statement of community involvement (SCI) outlines how the Council proposes to involve residents, businesses, groups and organisations in the preparation of the Local Plan and in making planning decisions. The Core Strategy sets out the vision, spatial objectives and core policies for the future development of the Borough. The Core Strategy document library contains a range of evidence base documents used in the preparation and implementation of the Core Strategy. The Oadby and Wigston Town Centres Area Action Plan was adopted in September 2013. 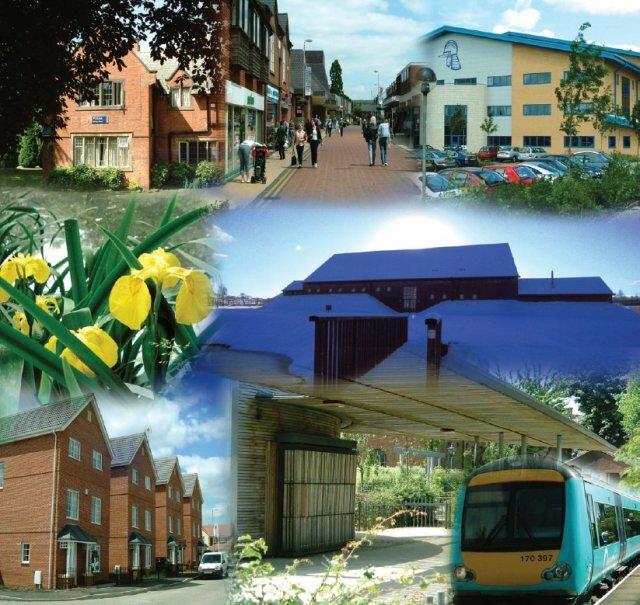 This document illustrates policies relevant to all development within the town centres of Wigston and Oadby. Details on all supplementary planning documents (SPD) adopted by the Borough Council can be found on the relevant link. Although supplementary planning documents supersede supplementary planning guidance (SPG), there are currently still some SPG's in place. The Town and Country Planning (Local Planning) (England) Regulations 2012, states that Local Authorities must make any up-to-date information, which has been collected for monitoring purposes available as soon as information becomes available. To be inconformity with this Statutory Instrument the Council will produce an Annual Monitoring Report to reflect up-to-date information compiled during the previous monitoring year. The Report will measure the degree to which the Council has successfully applied the policies set out in Local Development Documents and measures progress within the Local Plan process. More information can be found on the annual monitoring report pages. The purpose of sustainability appraisal (SA); mandatory under the Planning and Compulsory Purchase Act 2004, is to promote sustainable development through the integration of social, environmental and economic considerations in the preparation of new or revised Development Plan Documents (DPD) and supplementary planning documents (SPD). More information can be found on the sustainability appraisal pages.